Phase 3 are proud suppliers of event industry connectors to some of the events industry’s biggest companies. Showsafe are manufactured for stage lighting, rigging, audio visual stage equipment and stadium power distribution. We help connect event power in the safest and most reliable way. Circular connectors have been used at the World Cup, Glastonbury, the Olympics and many more global showcases. Please contact me about Power Generator Connectors. Phase 3 are proud manufacturers and suppliers of power generator connectors to temporary power distribution and utility companies worldwide. Our industrial plugs and sockets are perfect for switchgear, power generators, control panels, and the national grid. Therefore, we help deliver a constant power supply for millions of homes, businesses and events in the safest and most reliable way. 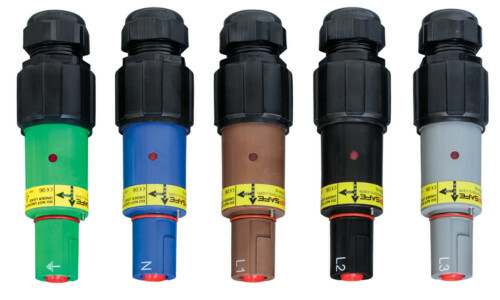 Showsafe event connectors are perfect for touring application and are fully Socapex compatible with UL approval. Powersafe are single pole connectors for low voltage power distribution up to 800 amps. Phase 3 are considered the industry leader in quality and safety for power connectors. Powersafe powerlock connectors are considered to be the industry leader in quality and safety for power connectors. In addition, Powersafe Network Connection Devices are used worldwide, connecting generators to power lines for utility companies. Powersafe powerlock boxes are sequential mating boxes for safe and controlled distribution on panels and rack mounts. Powersafe power connectors are mechanically keyed and locked meaning they have the highest ratings in reliability and safety. The high-current single pole connectors are utilised globally by the events industry. The connectors mate with the Tourmate Powersafe Sequential Mating Box, a compact 3 Phase, Neutral and Earth, generator connection point with a high current carrying capacity up to 800A. The powerlock type product is an industry leader in quality, with pending UL approval. They are safer than Cam-Lock and can be delivered worldwide with the quickest lead times guaranteed. Phase 3’s Powersafe are perfect for temporary power generators for large stadiums, festivals and events. The connectors will be used at the 2018 World Cup, Galstonbury and the Olympics and are fully compatible with VEAM and Litton. 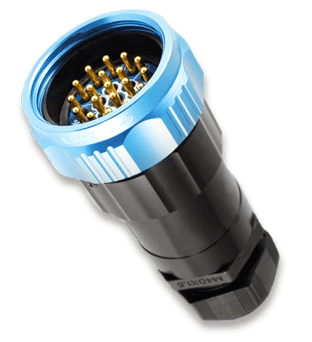 Showsafe Circular Connectors are available in 3 pin, 5 pin , 7 pin and 19 pin format. Phase 3’s multi-pin circular connectors are perfect for touring application, they’re manufactured in the UK to the highest industry quality making them perfect for life on the road. The gold plated contacts on the AV plugs and sockets are the choice of events professionals across the globe for stage lighting. They have been chosen to connect lighting at spectacles such as Glastonbury and even for major artists like Sir Paul McCartney! Quick worldwide delivery, safe payments, best prices. The Powersafe Sequential Mating Box is fast becoming the industry standard in power generator, control panel and switchgear connection points for high current connections up to 800A. The powerlock box’s sequence of connection and disconnection is controlled, therefore live lines cannot be mismated. As a result, Powersafe Sequential Boxes are the power and energy industry’s safest generator sockets. Data Centre and Temporary Power Distribution professionals choose the box for its added safety benefits, such as a rear fail-safe switch that will cut electrical power if tampering occurs. Fully compatible with other powerlock 400A and 660A connectors. 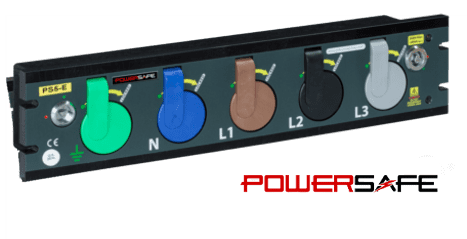 The Powersafe Sequential Mating Box is fast becoming the industry standard in power generator and high current connections. The sequence of connection and disconnection is controlled and cannot be mis-mated, making Powersafe distro boxes the entertainment industry’s safest. Phase 3’s Sequential Mating Box comes in a compact design which allows 2U panel mounting. This means you can now mount two units in a 4U rack space. The unit is available in Source or Drain versions rated at 800A to be compatible with all Phase 3 500A & 800A connectors as well as Veam 400A and 660A connectors. There is an optional lid available which ensures water and dust protection to IP67 rating. Phase 3’s connectors helped keep the music booming and lights shining on the Pyramid Stage at Glastonbury 2017. Our 19 pin circular connectors and Powersafe attended the festival in huge numbers, on numerous stages, delivering a safe and constant power flow at one of the Performance Art’s biggest events. Phase 3 are supplying event industry connectors for power generation at the 2018 World Cup in Russia. We can service events of any size, in any country, for power and events lighting. It is a huge honour to provide a service to one of the biggest sporting events on the planet. Phase 3 are a supplier of connectors to the XXIII Winter Olympics in PyeongChang. The icy conditions will require a mass of generators, that we are happily connecting in 2018.